After the release of two CD albums ("Elixir Lytique" & "Face (of) Death"), Belgium's Aiboforcen disappeared from the scene to work on various projects. This break allowed them to strike back with a more mature and better mastered type of sound on the "Sons Palliatifs" album which closed their trilogy around the "near death experience" theme, but especially confirm their open-minded song-writing attitude as well as the complexity of their music arrangements. 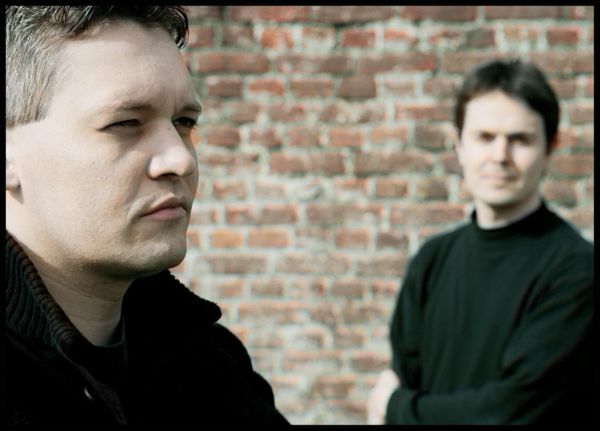 Released in June 2004, their 4th album “Kafarnaüm” offers a complex and modern mixture of eclectic electronic styles ranging from harsh EBM to crunching power industrial through dark trip hop with a certain future pop touch and their trademark combination of harsh male growls and sensual female vocals. Extremely rich in diversity (including an astounding plethora of guest vocalists), this surrealistic album impressively holds a cohesive red line centered on Benoît Blanchart's uniquely intricate song-writing skills, attitude and vicious sampling manipulations, channeled by the recurring lyrical theme of mental and physical chaos.